On bustling Tokyo streets, there are many small tools weaving among crowds. They like not only transports but also playthings. Actually, they are Fosjoas electric scooters. Why do people can ride them and freely weave on busy streets. Under Fosjoas, small-sized electric scooters, such as K1 motorized skateboard, V6 electric one wheel, V2, V3, V5 and V6 twin-wheeled electric scooters, are much more suitable for streets. Indeed, small figure is much easier to control, which is one of important reasons why a large quantity of Fosjoas electric scooters appear on streets of cosmopolitan city. Based on aerospace attitude control theory, fuzzy software algorithm and gyroscope system, those small-sized Fosjoas electric scooters can keep balance automatically. Briefly speaking, riders realize all controls by adjusting body gravity. If they want to speed up, just lean forward. If they want to brake, just lean backward. Even if on crowded streets, people can ride Fosjoas electric scooters freely and safely. 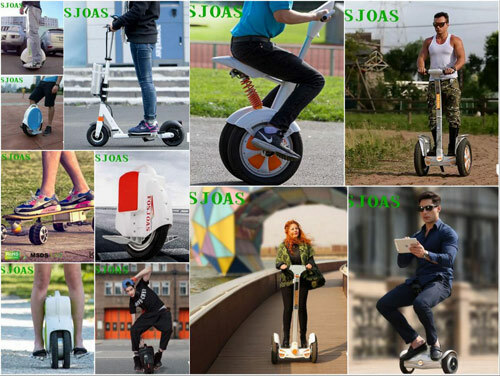 Why do people ride Fosjoas self-balancing scooters on streets? Some girls ride Fosjoas self-balancing scooters, for they love shopping and have delicious food in downtown with friends. Some people really have something important to do in downtown. Besides, some young boys love weaving on high streets and back lanes, which makes them exciting. Don’t forget such a group: travelers. In general, Fosjoas self-balancing scooter is the best alternative tool in traveling. Easy riding gives travelers relaxing and enjoyable travel experience. The small-sized Fosjoas self-balancing scooter can be easily put in suitcase and taken to another city or even another country. When travelers get to the destination, they can ride Fosjoas electric self-balancing scooter and travel around city. Such a travel mode will let travelers know the people, custom, food and scenery of the city much better. Besides Tokyo, people can ride Fosjoas electric scooters on streets of all of metropolis.